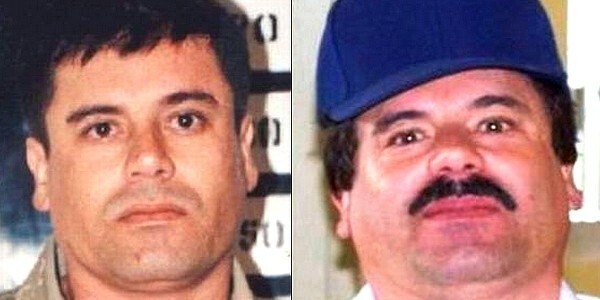 El Chapo is Spanish for “Shorty” or a short person. Translated to English, el chapo means: stunted, short and stocky physical appearance, dwarf. It is also the nickname of the world-famous Mexican drug kingpin Joaquin Archivaldo Guzman Loera. He got his nickname because of his short and stocky stature. Female version of the word el chapo is la chapa. Here’s an example that uses this Spanish slang word: “Tenemos que platicar, chapo!” In English it means: “We need to talk, shorty!” A further look in a Spanish to English dictionary reveals that exclamation “chapó!” means “bravo!” or “well done!” in Spanish. The idiom: “hacer chapó” in English means “to take one’s hat off”. El Chapo Guzman is the head of the Mexican drug Cartel the Sinaloa. In various mugshots “The Shorty” appears to be about 168 cm (5 ft 6) in stature, hence the nickname. His estimated weight is 91 kg. Joaquin Guzman became Mexico’s head drug lord in 2003, after his rival Osiel Cardenas (the Gulf Cartel) was arrested. The US Department of the Treasury considers him the most powerful drug kingpin in the world. His other nickname is: the Last Godfather. Forbes magazine ranked El Chapo as the 41st, 60th, and 55th most powerful person in the world (2009, 2010, 2011). The Shorty was named the 10th richest man in Mexico in 2011, with the estimated net worth of US$1 billion. The US DEA estimates that he has surpassed Pablo Escobar, and is “the godfather of the drug world”. In 2013, Guzmán has named “Public Enemy Number One” by the Chicago Crime Commission – the last person to receive this title was Al Capone in 1930. El Chapo is currently imprisoned. His criminal charges include: murder, drug trafficking, money laundering, racketeering, and organized crime. “The Shorty” was born either in 1954 or 1957 (he is 59-61 years old in 2016). He was born in Sinaloa, Mexico, in a small village near the rural town of Badiraguato. El Chapo was born in a poor family. As a child, Joaquin sold oranges, and in the third grade he dropped out of school to work with his father. He was often beaten by his dad but stood up to him to protect his younger siblings from the beatings. His mother was his emotional support. Later on, Joaquin, his father and a few other family members went into opium poppy cultivation. His father would often spend profits on alcohol and women. Tired of mismanagement, 15-year-old Joaquin started to cultivate his own marijuana with four cousins, and was supporting his family financially. El Chapo left Badiraguato in his 20s and joined organized crime through his uncle Pedro Avilés Pérez, a Mexican drug trafficker. Joaquin had an ambitious, violent and serious approach. For example, he would kill smugglers who did him wrong by a shot to the head. Later in his career, he worked as a chauffeur for one of the major drug lords in Mexico in the early 1980s, Félix Gallardo. His tasks included coordinating drug shipments. In 1989, Felix Gallardo was arrested, and Guzman and others agreed to divide previous territories of the Guadalajara Cartel. In later conflicts with the Tijuana Cartel, El Chapo was shot at, but managed to escape unharmed. Guzman was captured by law enforcement three times: in 1993, 2014 and 2016. He has escaped prison twice: in 2001 and 2015. First time he escaped by bribing prison guards, second – by exiting through a tunnel to a construction site. While Guzmán was in prison, his drug empire continued to operate, led by his brother – Arturo Guzmán Loera (nicknamed El Pollo). Sinaloa Cartel ships multi-ton cocaine loads from Colombia through Mexico to the US, as well as deals with Mexican methamphetamine, marijuana, ecstasy and heroin across the United States and Europe. By 2014, Guzmán had exported more than 500 tons of cocaine to the United States. Joaquin is estimated to have had at least four wives and more than ten children. El Chapo’s sons, Ivan (nicknamed los Chapitos) and Alfred are said to be carrying on the family business while their father is in jail.